captions on an easy-to-read display. 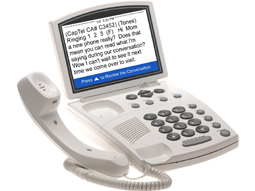 CapTel can help boost your confidence because you won’t miss a single word in phone conversations again! 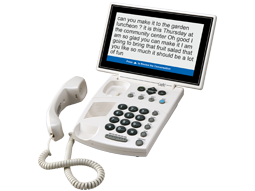 Dial, connect, and read independently with a CapTel phone. 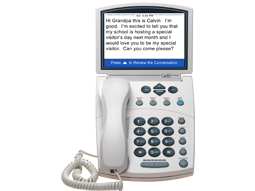 Choose from four CapTel models to learn more about each phone’s features. 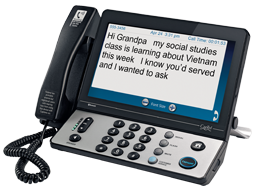 For people who don’t have Internet access currently using analog line (landline).